This week we have a Guest Review from Emma and Anthony from @themeparkcouple (on Twitter and Instagram). They are a 'just married' couple in their late 20s from South Wales UK and they love everything about Florida like WDW, Universal Orlando Resort and all the other theme parks. Below they answer all your questions on the best 'food' places to eat in WDW. We are, as the millennials would put it “foodies”. We try to eat in as many places as possible and always try to find something new to try! In Magic Kingdom some of our favourite places to eat are, Be Our Guest as we love the theming, the food is of a decent standard, the Croque Monsieur is a particularly good dish and oh yes don’t forget to try the “grey stuff” on top of The Masters Cupcake -it truly is delicious. We do recommend lunch or breakfast for the best value for money and we think everyone should try it at least once. Other places you HAVE to try are Cinderella's Royal Table which is located inside the castle, the food is good not great for the price. Its also the best place to meet the princesses and just for experience as it feels amazing to dine in the castle. We love the quick service restaurants as well (more so now they all have mobile ordering) Casey’s Corner is one of our top quick service picks as the mini corn dogs are insanely good! Also on our list is Cosmic Rays as they always have consistently good food. Don’t miss out on some of the kiosks as they have some awesome hidden food gems. The Cheshire cafe in Fantasyland has an awesome Cheshire cat tail pastry, it’s amazing! The Lunching Pad in Tomorrowland is also a good one to visit and of course let’s not forget Aloha Isle in Adventureland for Dole Whip as it’s a must every time as are the usual Mickey pretzels and Mickey bars. In Hollywood Studios we know it’s a bit of a construction site right now with all the work bringing all the new awesome lands! There is still plenty of places to eat and enjoy like The Sci-fi Dine-in Theatre, it's one of our favourites along with 50's Prime Time Cafe as they both have amazing theming really good food and we love the atmosphere. As for quick service we love the Backlot Express especially the chicken n waffles. Min and Bill's Dockside Diner is awesome - its located on Echo Lake and the food is really good. As for snacks we tend to have the same as most parks but we do get a Coca-Cola slushie near the Dockside Diner which is so refreshing on a hot day. Next up is Animal Kingdom. There isn’t a massive amount and to be honest we don’t tend to spend the full day in the park but they do have some really good food here like Tiffins and the Nomad Lounge. You will find them on the bridge on your way into Pandora, the food is excellent and the drinks are so yum. If you want to sit down and enjoy a cocktail then the Nomad Lounge is the place for you! We don’t really use the quick service restaurants here as there aren’t that many BUT we love wandering around all the kiosks to see what yummy food we can find. Finally over to Epcot, we have so many places we love to eat and grab a few snacks. Let’s start at Future World we really enjoy the Electric Umbrella which is located left of the main fountain, we had the 3 cheese flatbread and for someone who doesn't really like cheese it was really good and I really enjoyed it. We also tried the chicken breast nuggets and the angus cheese burger again both really good and decent size meals as well (top tip: if there is a few of you don’t all get a drink as its a refillable station so just share). If your looking for something different then we would suggest Sunshine Seasons which is located in The Land pavilion downstairs, they serve different food including Mongolian beef which was pretty tasty and spicy fish tacos which are really good also a great place to soak up the Air conditioning. Now on to the World Showcase, we could literally name somewhere in every country to eat, so we are going to name our favourites and a must every time we go. Head to France to Les Halles Boulangerie-patisserie where we highly recommend the creme brulee its AMAZING - best you will get outside of France. All the desserts are amazing but we love creme brulee. They do savoury options as well which are also really good but once you walk in and see all of the desserts that's all you will want! Next stop is the American Pavilion for Funnel cake OMG it’s amazing we have a massive sweet tooth and they are very sweet but sooo good, they also have some different toppings to try. Germany next if you love Werther’s original then you have to try the cakes in Karamell-Kuche. Our most favourite place to eat though is Teppen Endo in the Japan Pavillion. The food is amazing and you also get a show while you eat which is awesome. If your lucky they will do a Mickey or Castle shape with your food. We highly recommend it!!!! Everyone thinks character dining is just for kids, well we’re here to tell you it’s not and it’s so much fun so we highly recommend it. If your like us, and love meeting new characters and eating good food then this is for you! We have 2 favourite places for such an experience. 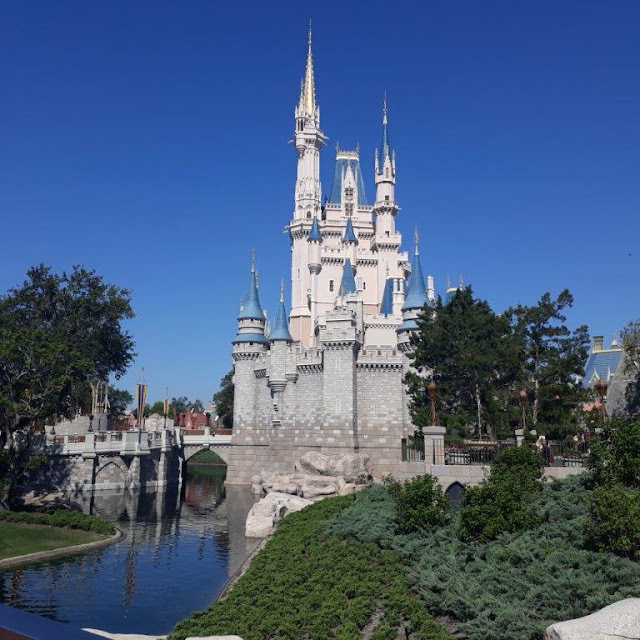 We recommend going to Cinderella's Royal Table- it’s a great place to meet the princesses without having to queue for ages in Princess Fairy Tale Hall. The food if good but it’s quite expensive for what you get and you have to pay when making the reservation. The characters we had were Cinderella, Snow White and Aurora although the princesses do vary between breakfast, lunch and dinner. The interaction is great and it doesn’t feel rushed and they make time for every table. If your budget allows we definitely recommend doing it at least once. Our next favourite is over in Animal Kingdom at Tusker House. It’s brilliant in every way. It’s a buffet style breakfast and everything tasted so good! The characters (Donald Duck, Daisy Duck, Goofy and of course Mickey Mouse) all dressed up in safari outfits and they looked adorable. Again, the interaction is great they spend a good amount of time at the tables for photos and autographs It is also a little bit pricey but worth every penny. We recommend breakfast as the food is really good but they also do character dining for lunch and dinner. Other places that offer character dining are Chef Mickeys at the Contemporary Resort, The Crystal Palace in Magic Kingdom, O’hana at the Polynesian Village Resort, Akershus Royal Banquet Hall in Epcot located in the Norway Pavilion, The Garden Grill at Epcot located in The Land Pavilion, Hollywood and Vine In Hollywood Studios just to name a few! As you can see there is plenty of choice when it comes to character dining and all have a variety of different characters for you meet, we suggest using the My Disney Experience app to make reservations to avoid disappointment. A big thank you to Emma and Anthony, the couple behind @themeparkcouple (on Twitter and Instagram). Please follow their adventures.